Anna Campbell is never one to stand still long. Not only is she a public claims adjuster and college student working toward a degree in English, she is also owner of production company Best Video Jax. 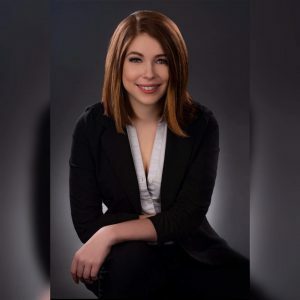 Anna has been working in television for six years (and attended film school for two-and-a-half years), during which time she has gained expertise in sales, radio frequency engineering and video production. Today, she brings both passion and experience to her growing company. Amid her busy schedule, Anna also finds time to attend Davidson Realty’s monthly Networking events. 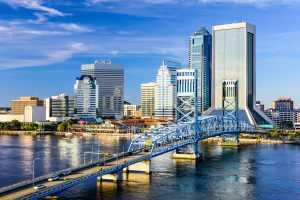 Best Video Jax will even as sponsor at the April event in Jacksonville Beach! Ashly Koike knows balancing work and family with a healthy lifestyle is incredibly challenging. 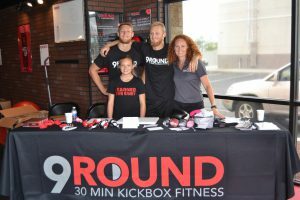 The owner of 9Round, a specialized fitness center offering 30-minute kickboxing workouts, launched her franchise in June 2017 to help others achieve this balance and feel great. The working mom made the shift to business owner after spending more than 20 years in the travel industry. “I have always been into fitness and made it a part of my lifestyle,” Ashly said of her decision to open 9Round. 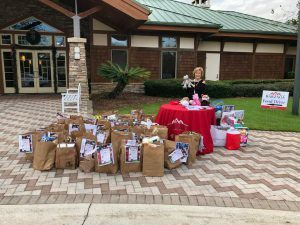 Davidson Realty agent Mirtha Barzaga hosted her annual holiday donation drive on Saturday, December 8, at the King & Bear community in World Golf Village. More than 250 bags of groceries were collected along with approximately 50 bags of toys like Lego sets, dolls and educational aids. Donations went directly to the Emergency Services & Homeless Coalition of St. Johns County. Davidson agent Jennifer Todd is helping to spread holiday cheer to kids who need it the most. 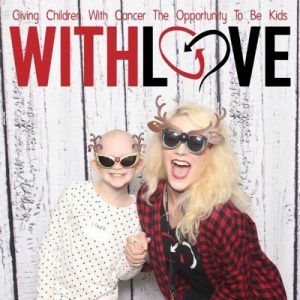 She is working to collect toys and games for WithLove Charity, Inc., which benefits hematology and oncology patients ages infant to 21. 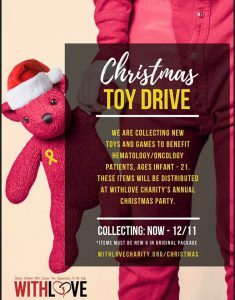 The holiday donation drive is collecting items for children being treated in local Jacksonville hospitals over the holidays. Please hurry!All donations must be collected by Monday, December 10, at 12 p.m. Recommended items include: coloring books, soft baby dolls, themed Barbie dolls, popular children’s shows toy sets/characters (e.g., Paw Patrol, Doc McStuffins, Mickey Mouse Clubhouse, Thomas the Train), super hero action figures, Lego sets/building blocks, Matchbox car sets, craft and bead kits, Play-Doh sets, college/NFL sports swag. Palermo neighborhood – Hodges Blvd (contact Jennifer for specific location at (904) 635-9207 or jtodd617@comcast.net).